The compact Monitor Audio SB-2, available in Winnipeg at Creative Audio, is engineered for seamless integration with 50"- 60" TVs, featuring three separate driver arrays for left, centre, right channels in a single cabinet. The SB-2 employs individual 4" C-CAM mid-bass, 1" C-CAM tweeter and sealed ABR (Auxiliary Bass Radiator) drivers per section. 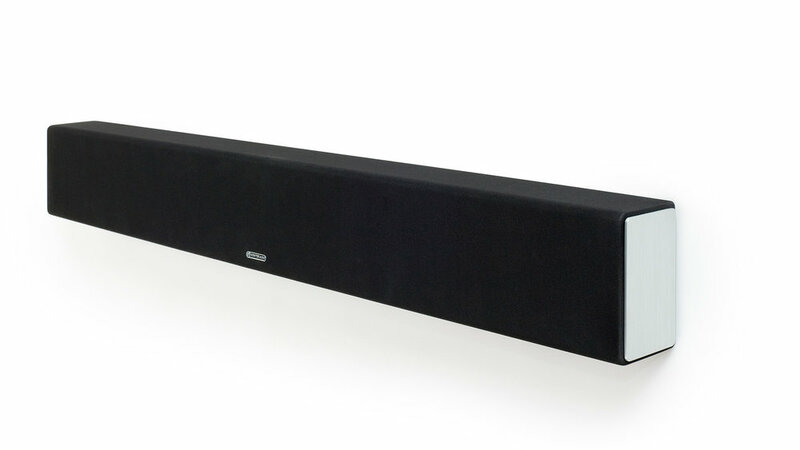 In larger rooms the Monitor Audio SB-2 can be used with a partnering Monitor Audio subwoofer to deliver the best possible audio experience. Within smaller environments and systems, the Monitor Audio SB series will deliver effortless full range audio way beyond the limits of any TV's sound system. Are you interested in the Monitor Audio SB-2? Thank you for your interest in the Monitor Audio SB-2! One of our team will be in touch with you very soon.